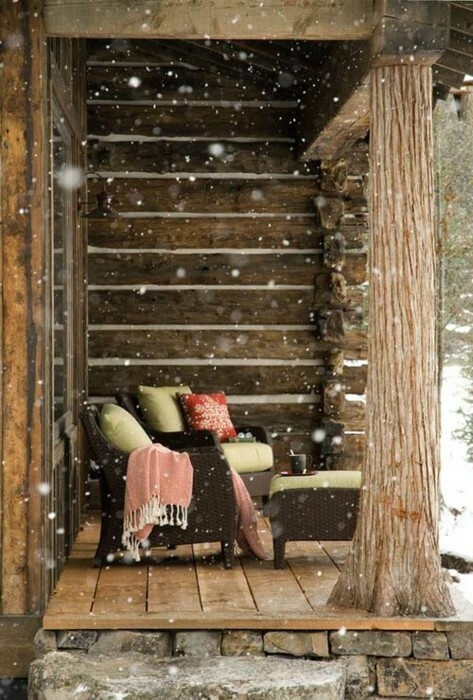 I'd could really use some quiet time on a porch like this. A hot cup of cocoa, a good book and a cashmere throw to curl up in sounds divine! Too bad, in reality, it's not going to happen any time soon!